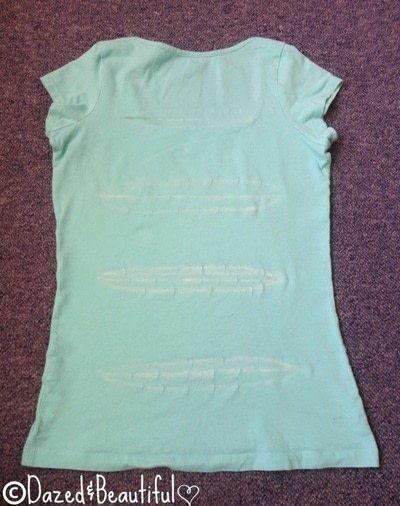 A completely normal looking tshirt from the front but with a bit of a twist at the back! A unique and pretty transformation that can be done on any t-shirt that you like! 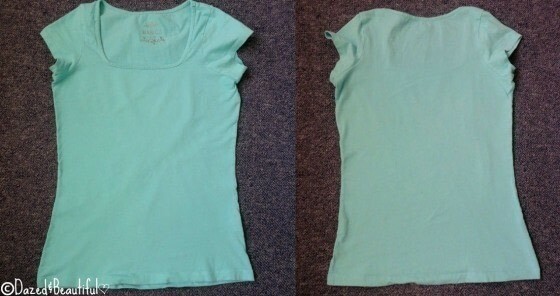 Start off with your t-shirt lying flat on the ground, flip it over so that the back of the shirt is facing up. Make sure there are no bumps and it is completely flat. Next, taking a piece of chalk or something that will temporarily mark the fabric, draw a few lines of equal distance down the back of the shirt, I made 4 markings. Create a very thin oval shape around this mark. Make an incision and begin to cut out the oval shape. Be sure to not go too close to the edges of the fabric and keep the scraps of fabric that you cut out. Then stretch the ovals to curl the edges and make it look neater. Taking the scraps of fabric, cut them into rectangular shapes. Going back to the shirt, take the section between the two cut out portions and pinch them together to get a nice, ruffled design. 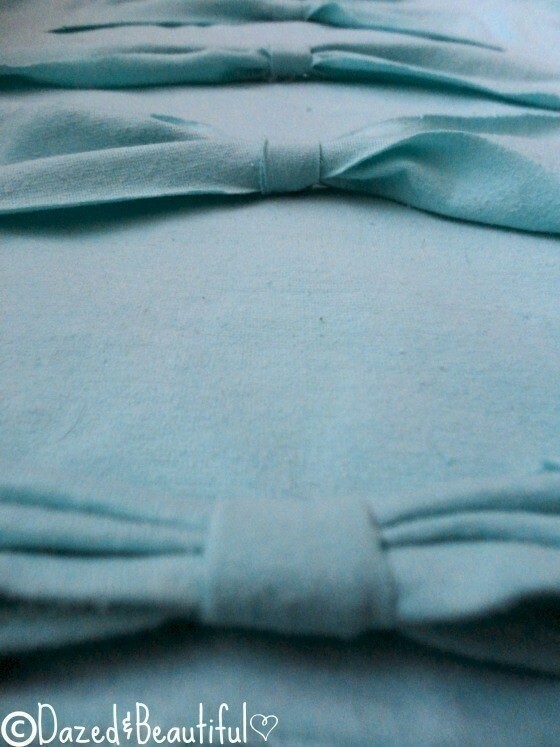 Then using the rectangular portions that you cut out previously, wrap it tightly around the centre of the ‘bow’. To secure it, simply flip the section to the inside of the shirt and use fabric glue or give it a quick sew to secure the portion in place! 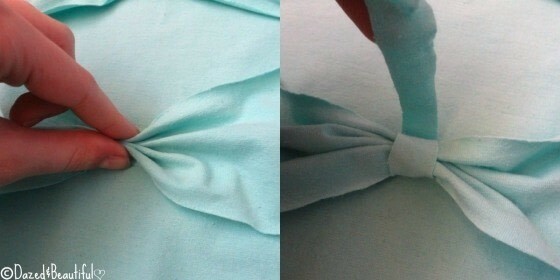 Repeat this step with all the sections right down to the bottom of the shirt.